Integrate the control of your production processes in the Dossier Manager with the V2 Production module for always up-to-date and up-to-date management. The module, designed specifically for the cosmetics industry, guarantees a complete affinity of the instrument to both practical-management and regulatory requirements. With the Planner all productions are always easily manageable and under control. The entire production plan is shown on the Planner by production order / phase / plant phases in order to provide an intuitive and immediate global vision. 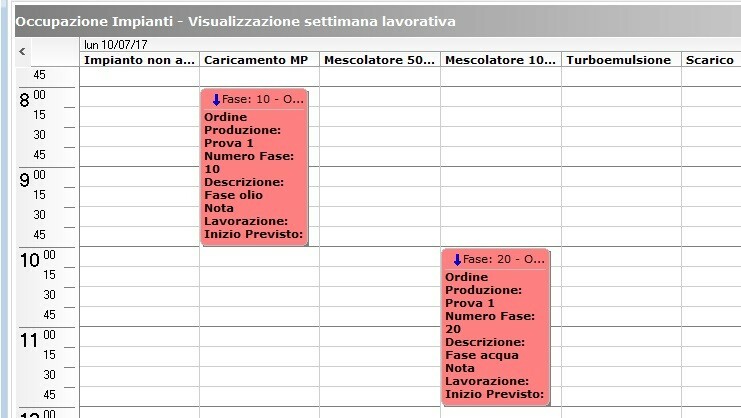 Planner is also a work tool: the individual elements can be allocated with a drag & drop system and their settings can be changed with a click. A click is all you need to access data from the worksheet. 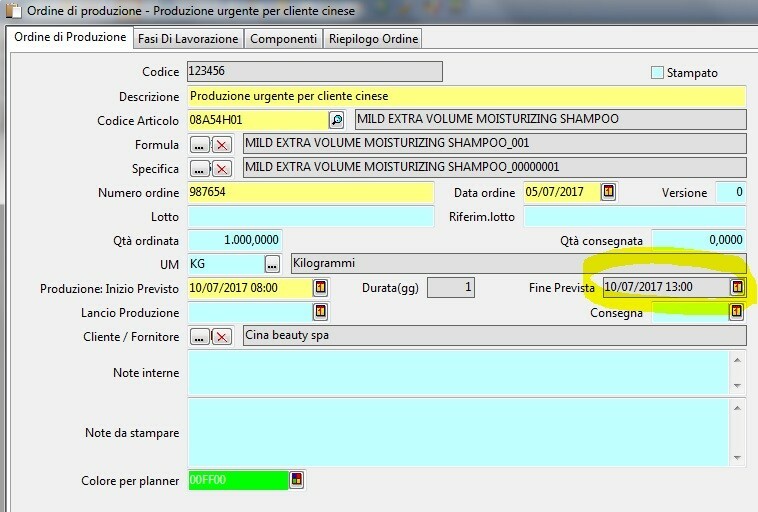 On the basis of the Production order, the software proposes the quantities and lots to be used, based on the basic settings. The registration of quantities and batches of ingredients used is simple and traceable by date and operator. 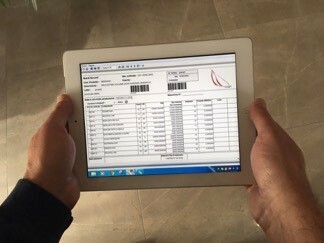 The status of the product or of the bulk is defined with the integrated use of the Quality Control module which, according to the settings, assigns the status of the lot and the destination warehouse. All records are collected in the Batch Record, a non-editable register and archived for subsequent verification.